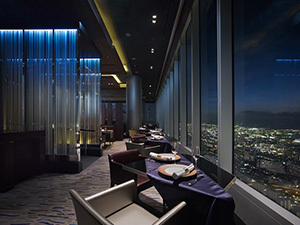 Japan's Largest Exhibition for Hospitality, Food Service and Cateling Industries! 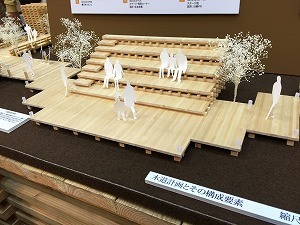 On 17th to 20 Feb., as a member of Japan Tourism Facilities Association (Public Interest Incorporated Foundation), KKS participated at the 「Hotel Restaurant Show 2015」. 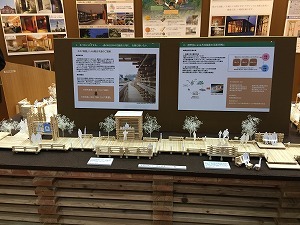 We are proud to announce that as a result, our presentation as titled "path towards timber-friendly Environment" will be exhibited at the 3rd UN World Conference on Disaster Risk Reduction 2015 Sendai Japan” due to popular demand. 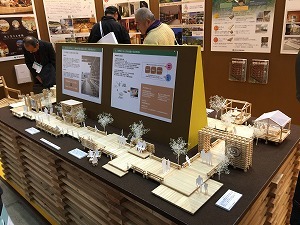 The topic of the exhibition was mainly on the use and reuse of our natural resources, namely timber as a building material which our presentation focused on. 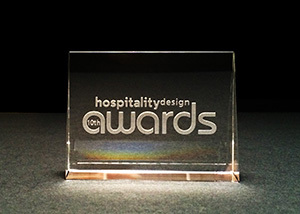 As a leading designer of hospitality, we have a vested interest in the innovative and creative use of timber both architecturally and in interior design, thus we presented our intentions in assessing the current trends as well reflecting on its future potential use. 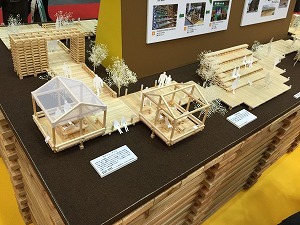 This we feel is inherent considering the historical use of timber as integral element to our culture and geographical advantage of Japan as a soil rich country for the cultivation of forests. and explained both its design aesthetic and impetus towards its effective use based on our experience, working with various specialists in collaboration. 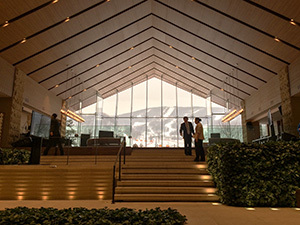 We outlined the challenges of timber both in the form of its use and reuse in our constructed environment and practice (as wood is termed as timber once processed as a type of building material). 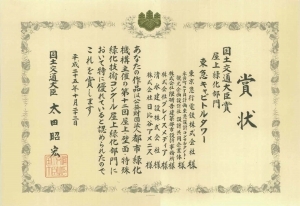 By making use of the Japanese term for the word “bichiku” which refers to both “beauty” as well as “Provision” at the same time, we combined these two words, and exhibited our ambition as literally a “Wooden Road”. 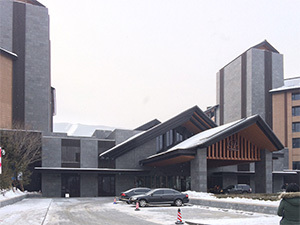 Lake Songhua Prince Hotel has just opened on January 16, 2015, as a luxury hotel with its world-class ski resorts in Jilin, one of the best resort areas in China. 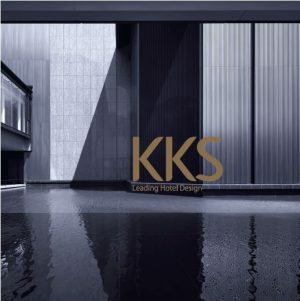 We are pleased to announce that KKS INTERNATIONAL CO., LTD. and KKS DALIAN Office have recently moved　to their new offices below. 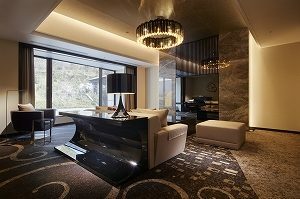 Shangri-La Hotel Qufu, built in Qufu, Shandong, China, was awarded an Architecture & Interior Design Award for luxury scale of Hospitality Design Award 2014 by the U.S. magazine, Hospitality Design. Qufu, located on south Jinan which is the capital city of Shandong, is the most known as Confucius’s birthplace, as well as the place Confucianism was originated from. 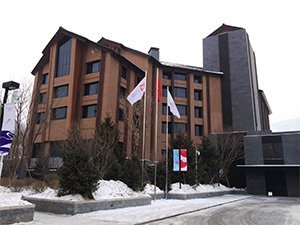 This is a 5-star hotel having 480 guest rooms and a large banqueting hall with 1,600m2 with its location in the center of the city. Notably, many historical structures built around the city, such as The Temple of Confucius and Kong Family Mansion, are in perfect harmony with other buildings in its surrounding area, making the whole scenery of the city significantly unified with Chinese traditional designs. 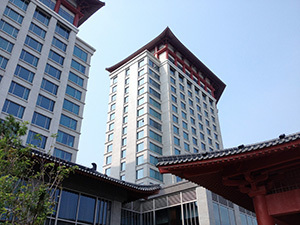 Thus, this hotel was also considered to be harmonized with those structures around the city. It was, therefore, necessary to adjust this huge building to the smaller scale of the townscape. 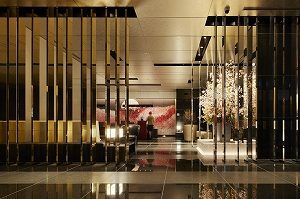 Also, we made great efforts to concern not simply imitating the designs of traditional architectures but having the quality of 5-star hotels remained and traditional essence assimilated into the modern designs, which will truly captivate all who visit. 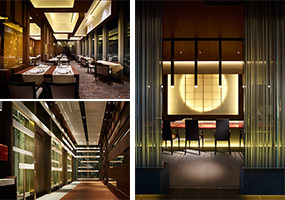 『Miyako Hotel, Marriott Osaka』 has been completed. 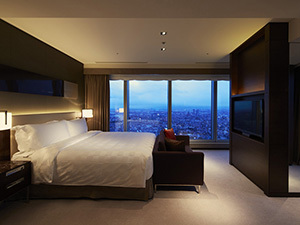 Hotel Marriott Osaka is now open in Abeno, Osaka, Japan due to be fully completed by March 7th, 2014. 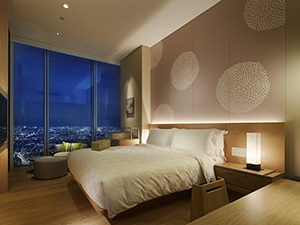 Abeno is located in the center of Osaka, convenient for those who come for business as well as for sightseeing because of its easy access from Kansai international airport and being near Kyoto and Nara which are also popular travel destinations. Being known as the birthplace of Japanese continental culture, it was famous as a locus in part of Silk Road for many students, scholars and official diplomatic delegates alike during the Sui dynasty who used to travel over from China to marvel at Shitennoji, a world memorable temple, founded by then the Japanese emperor, Shotoku-Taishi. Considering these notable facts, we tried to make the whole design suitable for the context of Abeno, known as a place where people had interacted and exchanged many ideas from all sorts of cultures for a long period of time. 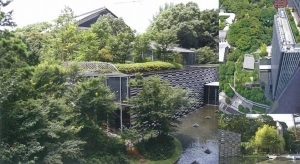 Thus its nature and own history is applied both in the interior and the exterior of the hotel with designs reminiscent of its landscape along the Japan’s railway line in western area and the Japanese traditional patterns which remind us of ISEGATA=SHI used for Kimono for a long time in Ise area. 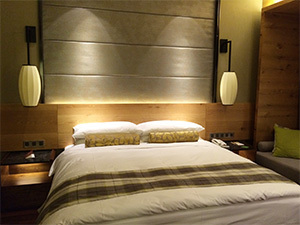 Here, in Miyako Hotel, such beauty of natural essence is embraced in all aspects of fashion and attraction deeply in-rooted in the original concept for its guest rooms. 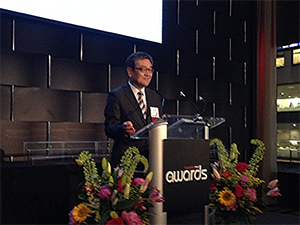 The Capitol Hotel Tokyu has been awarded a prize by Minister of Land, Infrastructure, Transport and Tourism in the 12th Competition for Specialized Greening Technology for Rooftops, Wall Facings and New Green Spaces. 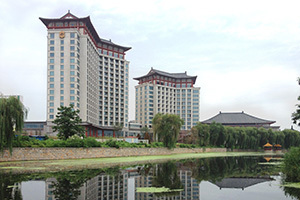 A high rise hotel building with 2 residential towers using straight lines and curved lines in the site facing the Putian prefecture government. By using curved lines, there is a view of a beautiful park from guest rooms in the hotel building. The residential buildings have a lot of sunshine, which displays scenery of the park for the residential buildings as well. The two semi-circular shaped towers express the softness / lightness of curved surfaces and tension of planes. Furthermore, a circular sector shape symbolizing success (from Chinese saying) is expressed as a symbol of further development and progress for the future of Putian prefecture and it gives a rhythm around the site. 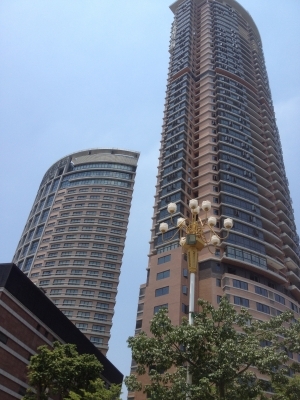 These buildings are expected to be a symbol tower of the place by lighting up at night.